It is sad to report the death of Ken Booth, the first Deputy Chairman of the British Democratic Party. Ken died at the age of 65 on 17th July 2018 as a result of cancer. His funeral took place in his home city of Newcastle-upon-Tyne on Tuesday 7th August, attended by over 100 mourners, including his eleven children, other members of his family and old colleagues from the nationalist movement. We used to joke that Ken was doing more than his fair share to re-populate the white race! His youngest daughter aged 7 handed out blackberries that she and her friends had picked from the hedgerows. Fair haired and blue eyed, like her mother, she represented the typical English girl that Ken devoted his political life to protect and preserve from the foreign barbarian groomers which our own treacherous politicians foisted upon us against our wishes. Ken practically held the British Democrats together single-handed during its first year in 2013 – acting as Elections Officer, Membership Officer and leaflet designer and sometimes as printer. He had formerly been a professional printer by profession. For one of our earliest local election campaigns Ken produced a super A3 size 2-colour leaflet on his printing equipment in his front room. After the funeral at West Road crematorium mourners moved to a splendid buffet held in the first-floor function room at Newcastle Rowing Club, located on the attractive, leafy south bank of the River Tyne. Below, young women carried slim racing canoes to the river to enjoy their sport. Around the room had been pinned lots of pictures of Ken at various stages throughout his life, many with his children who he obviously adored. 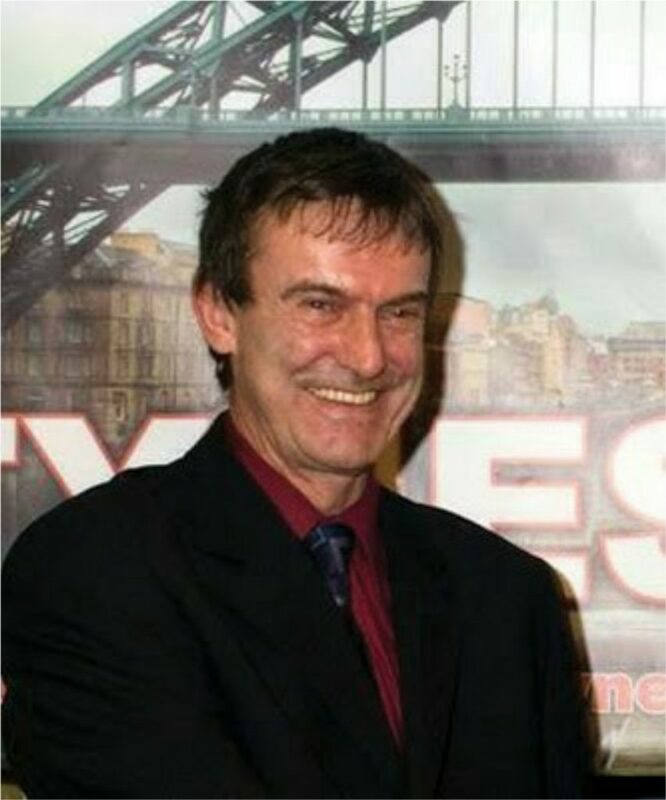 Ken had been the North East Regional Organiser for the British National Party (BNP) and had arranged a full slate of 29 BNP candidates from the North East to stand at the 2010 General Election, part of the record number of 339 BNP candidates standing in total nationally. Ken, like many others, subsequently left the BNP after clashing with the leadership over their financial incompetence and unpaid printing bills – an issue close to his heart, as a former professional printer. Until this time the BNP had been thriving with dozens of elected councillors, an elected member of the London Council, and two elected members of the European Parliament. Ken had numerous outside interests, including playing football and caring for his dogs. He was a hard-working and conscientious nationalist who was loyal to his country just as much as to his family. Many former colleagues will remember Ken with affection and respect and are very sad at his passing at a relatively young age. Cancer is an awful illness and Ken suffered considerably from the effects of chemo-therapy. Towards the end treatment was withdrawn as it was no longer having any beneficial effect. Ken leaves a total of 34 children, grandchildren and great-grandchildren; a large clan who owe their existence to a loving and stalwart British citizen who will be sadly missed by family, friends and colleagues. Rest in peace Ken – you had masses of accomplishments to be proud of. Tagged British Democrats, britishdemocrats.co.uk, Chairman of British Democratic Party, Ken Booth. A great patriot who I was fortunate enough to campaign with several times back in his BNP days. Didn’t know he had so many children. He certainly did his part in the preservation of our people. A very highly regarded man and a dedicated patriot. Rest In Peace Ken Booth. I never knew Mr Booth but by all accounts he was undoubtedly a great patriotic man,held in very high esteem by his fellow British Nationalists. Sincere condolences to his entire family circle from BDP Northern Ireland. I met Ken at one of the Red/White & Blue festivals, he struck me as a good honest , decent Patriot. May he rest in peace.